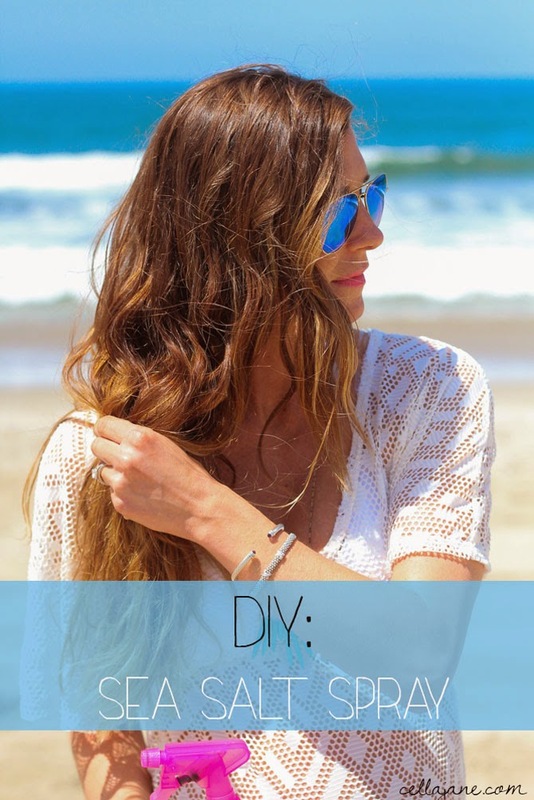 Freshly off our baby moon from California and with summer officially here, I thought it would be a great time to share my DIY for sea salt hair spray. 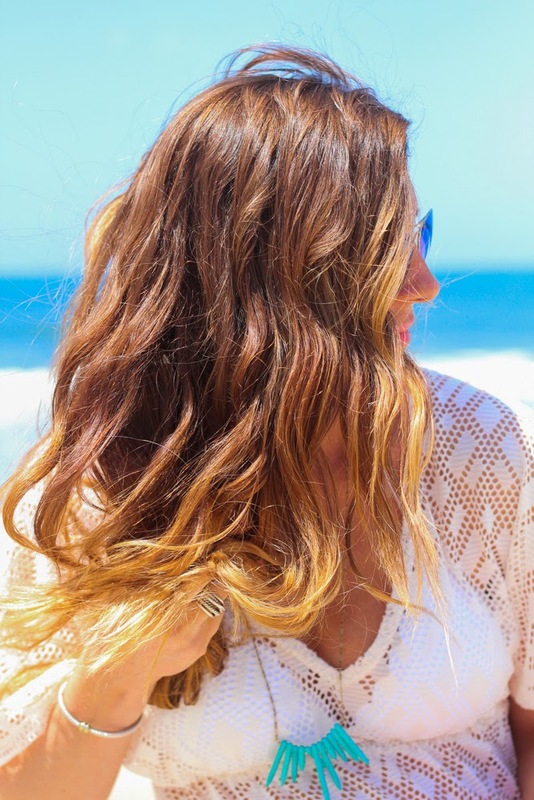 Who doesn’t love the look of naturally tousled waves and it’s so easy! I styled my hair like this everyday on our vacation, but also wear it often on the weekends or days when I have little time to do my hair. Below are the instructions. Feel free to comment with any questions. For every 8 ounces of water, add 1 tsp of sea salt, 1/2 tsp of hair gel and 1/2 tsp of coconut oil. I like to add the coconut oil to give my hair the extra conditioning and it makes the spray smell so good and beachy. Add all the ingredients together and shake until the salt has dissolved. Apply the spray to damp or dry hair and scrunch ends. I apply when my hair is slightly damp and continue to scrunch as it dries. I have very little natural curl, but I still get that beachy wave effect. I love sea salt sprays and never really thought about making my own, which is a shame because it sounds SO easy– thank you! Your beachy pics are too cute!